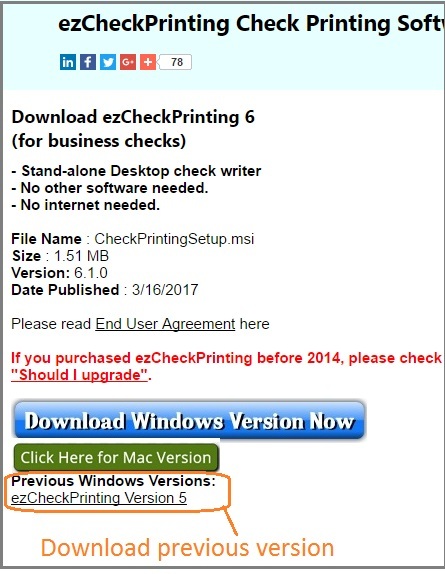 Customers using Chrome for internet browser requested an easier guide to downloading ezCheckPrinting business software. 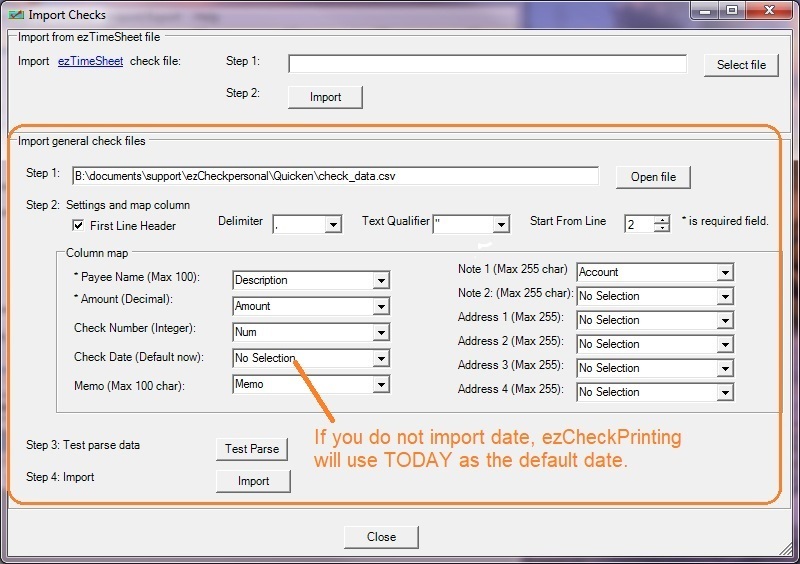 Below is a Youtube video created by Halfpricesoft.com with step by step instgructions on how to install ezCheckPrinting on Windows computer with Chrome browser. We at Halfpricesoft.com value our customers and any input or suggestions recommended to increase ease of use and peace of mind when utilizing the products. As always, Halfpricesoft.com offers a no cost trial for all software applications before purchase to ensure peace of mind. How to adjust the check position? Each printer is unique. Some users may need to adjust the check position for better effect. 2. Click the top menu “Settings->Edit current account” to open the account setup screen. 3. 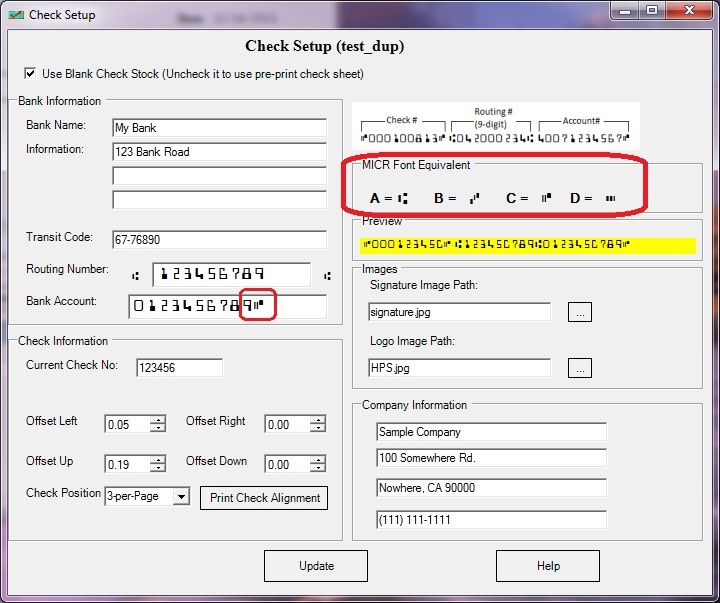 You can change the offset values to adjust the position of the whole check. You can increase the value of “Offset up” to print your check higher. You can increase the value of “Offset Down” to print your check lower. A lot of small businesses are running out from home, garage, and basement even an abandoned warehouse. However with low-cost technology, even a business of one can looks big and act big. 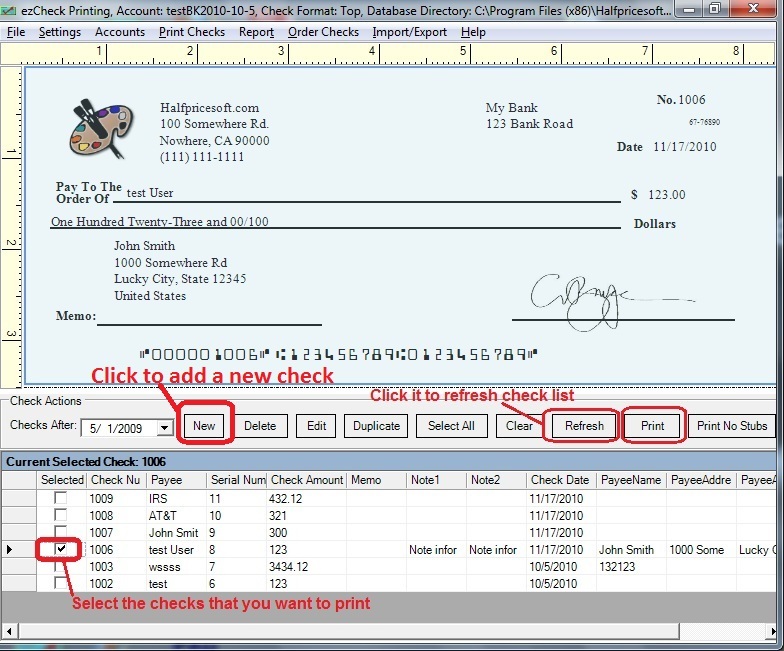 Here are the Top 5 Reasons Why Home Business Should Use Check Writing Software. How many times have you had to write a check quickly but of course it just so happens you are out and your new order has not arrived yet. With the right software a new one is simply a matter of going to your computer and filing out the necessary spaces. 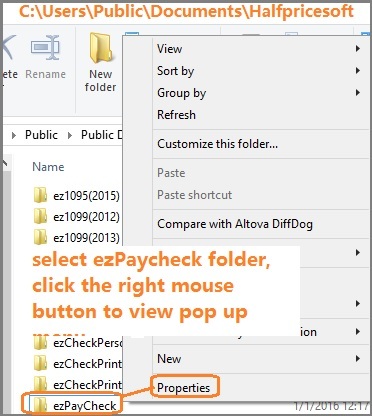 This allows you to no longer have to worry about having checks around since all you need is your computer no matter if that computer is a desktop or a laptop. 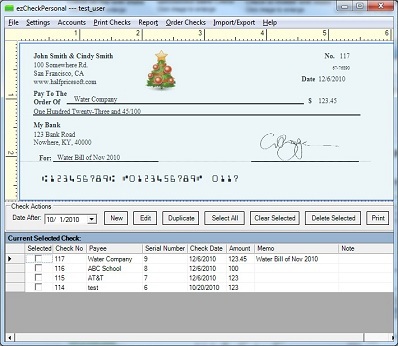 Instead of dealing with each check individually and taking valuable time out of your day you have the program write individual or multiple checks quickly. Home business owners always seem to worry about how their logo will look as well as proper placement. 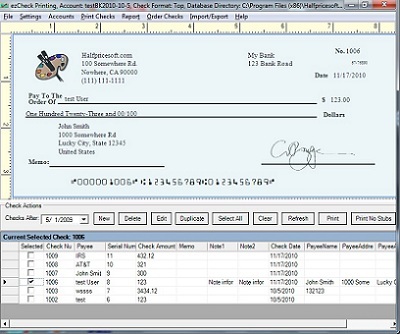 Using software that writes checks on your computer will allow you to import whatever logo you want as well as allow you to customize color and logo placement easily and quickly. Your specific signature can easily be modified and placed exactly how and where you want it. This level of control over all aspects of your check give you total control that you would not be able to get without using software. We are all conscience of security these days. Keeping your old checks in a folder in an office someplace is often not the best place for them. When you implement a software solution for your business you no longer have to worry about security. All back checks can be saved and password protected from prying eyes. You can also easily backup all that information to an external hard drive which for an extra layer of security. 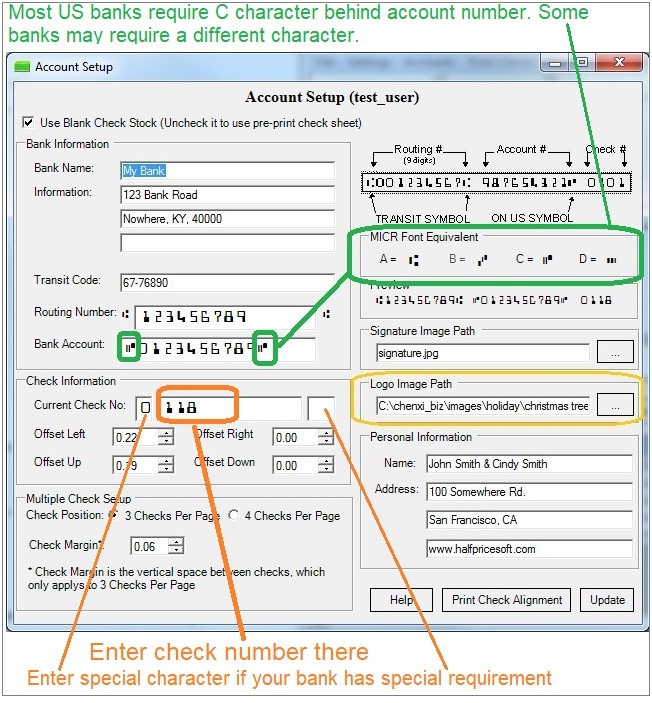 Some checks will need to have an MICR or Magnetic Ink Character Recognition line printed on the front of the check. The right program will have that capability to add MICR line when you need it. 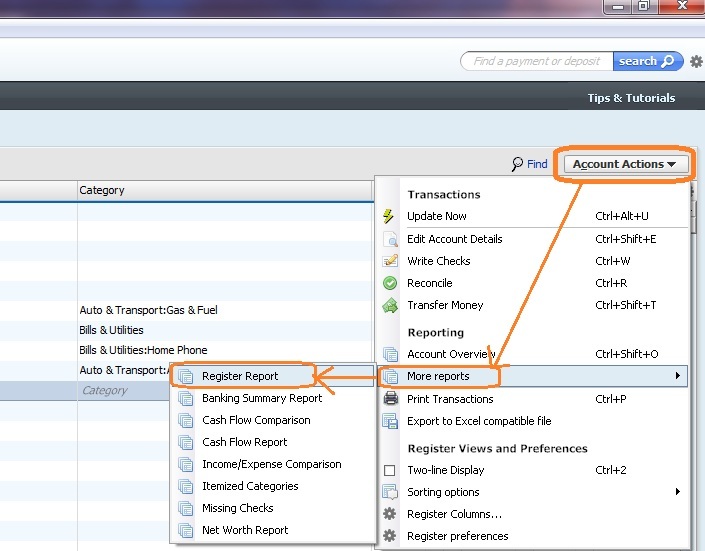 Switching to the right program allows you to centralize all your important financial information in one place. Design, security, and writing can happen all at one workstation without the need to have multiple folders in order to sort and manage your checks. 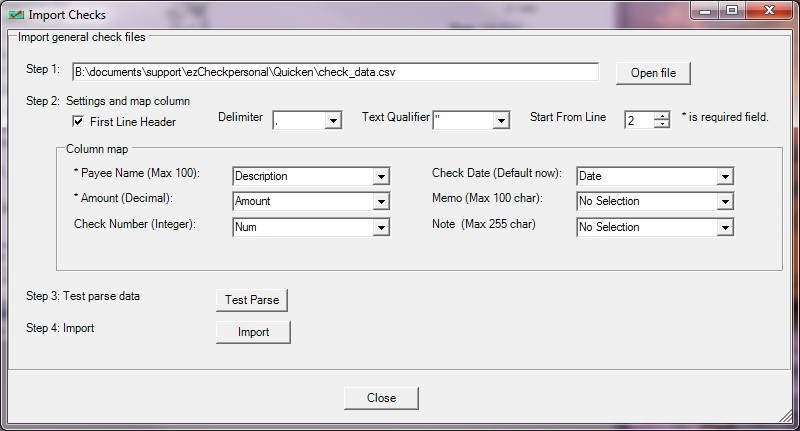 Looking for past checks is a snap using a computer with the right program. 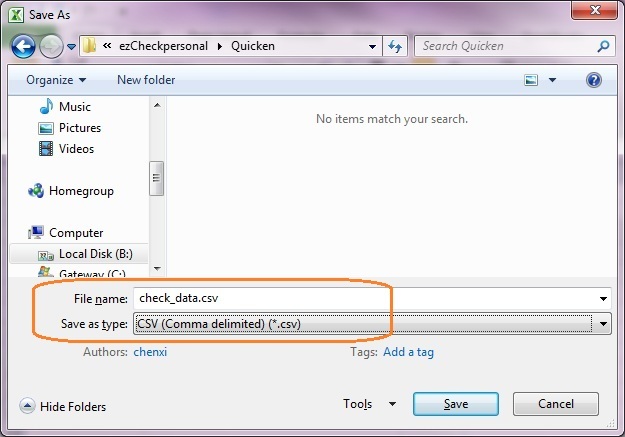 A quick search will yield any check written to a specific client with all relevant information. Software is the best way to manage all of your needs and centralize your work easily and quickly. Registering checks as well as having multiple bank accounts tied to the program give a level of bookkeeping that can be a great benefit to many small businesses. 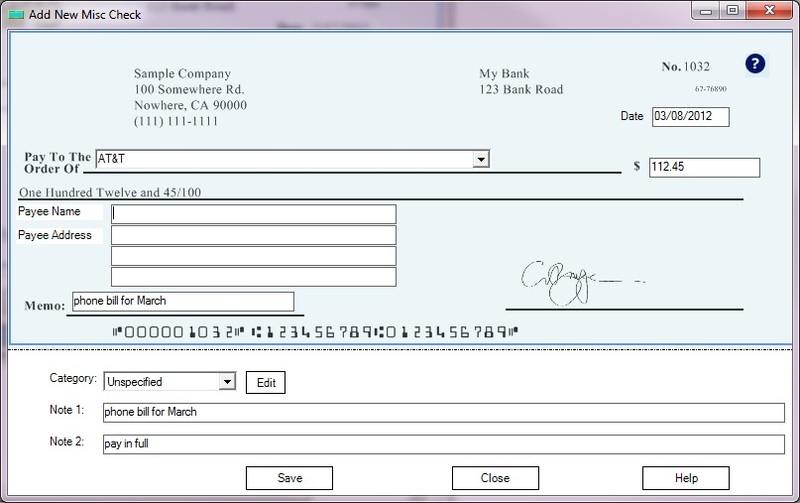 A program designed to write checks is a real benefit to the small business owner. 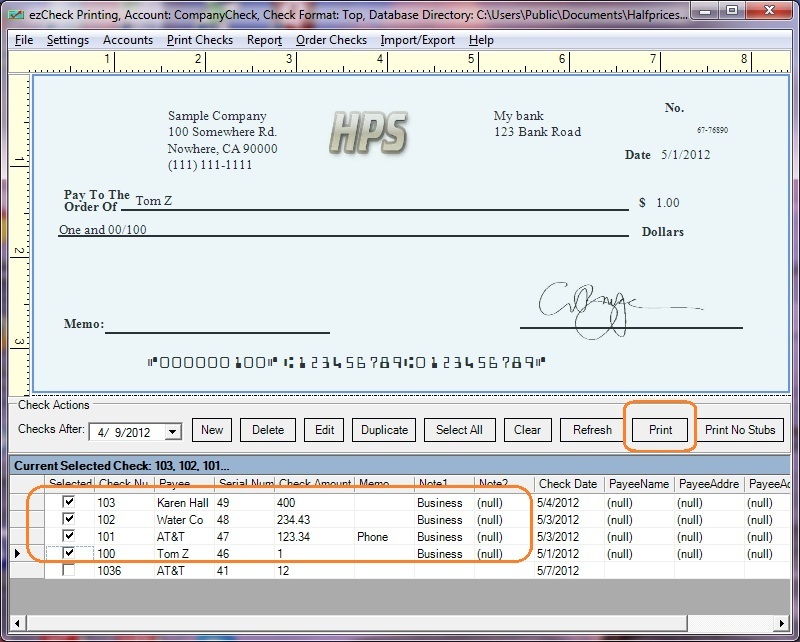 Saving time and increasing your efficiency will easily make moving to a check writing software program the right move. Choose a program that has the right features that fit your businesses needs but also allows for future needs that may arise as your business grows. 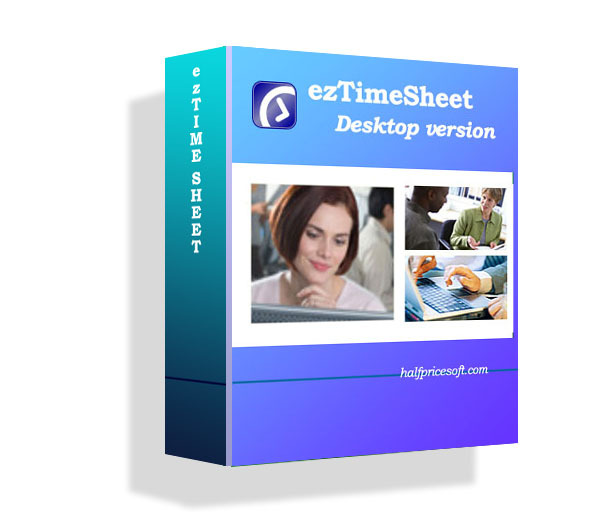 One MICR-capable check printing software title that is popular with small businesses is ezCheckPrinting from halfpricesoft.com. Buy from a reputable company as they will off you the best level of help and support should issues arise. Realizing a prolonged recession means small businesses need more access to powerful tools to streamline management processes, Halfpricesoft.com(http://www.halfpricesoft.com) announces that customers can get the blank computer check stock for free through online special offer from halfpricesoft.com site. They hope this free laser computer check paper offer will make it easier for users to try Check Writing software and payroll software, which will boost small business productivity in a down economy. The available check paper formats include business check-on-top and 3-per-page with sheet size 8.5 X 11 and check size 8.5 X 3.5, which can be used with most payroll accounting software on market. "It's a win-win-win-win situation: the customer gets free product, we make sales, the TrialPay advertiser makes sales, and TrialPay gets commissions. " said Dr Ge, the founder of halfpricesoft.com. “In a down economy, companies need to streamline and increase efficiency, so they can be more productive with every minute and every dollar. We hope this free offer will open payroll software and check writing software to more customers. And they can start a test drive easily." 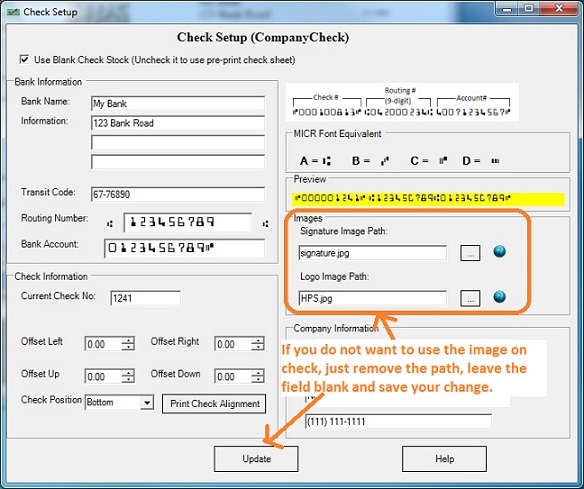 More controls and options are available in the new edition (version 3.0.6) of ezCheckPrinting software, the check writing software trusted by thousands of users. This new update is based on the feedbacks from customers. New form-level Help buttons - provide more information about functions that customers frequently have questions. User-defined payment categories - Users can now classify payments using categories they define and assign themselves. This feature lets customers assign payment categories that make more organizational sense to them or that align with their tax reporting needs. Users spend less time searching for the right category for a payment and less time going through reports for tax-deductible payments at tax time. And customers can even get it for FREE though TrialPay offer. Giving products away for free may seem like a strange way to grow a business, but for Louisville, Ky.-based Halfpricesoft.com, it has been the key to success. Having sold fewer than a hundred copies of their payroll and check printing software titles in the first years of business, software developer Halfpricesoft.com now sells thousands of copies each year now by giving away their full-feature versions through partnerships. Halfpricesoft.com launched in 2003 with a focus on creating payroll tax software solutions that is easy to learn and affordable for small businesses yet full-featured. The company found it difficult to market software as a start-up, since customers were unfamiliar with the company, and sold only a handful of copies in its first year. With the knowledge that their software offered features and capability comparable to high-end business software, Halfpricesoft offered a 30-day free trial period for its products believing that when users tried the payroll and check printing software, they would realize the value offered by Halfpricesoft.com and purchase the full-use license. While the free trial period did increase sales, they remained far below expectations. 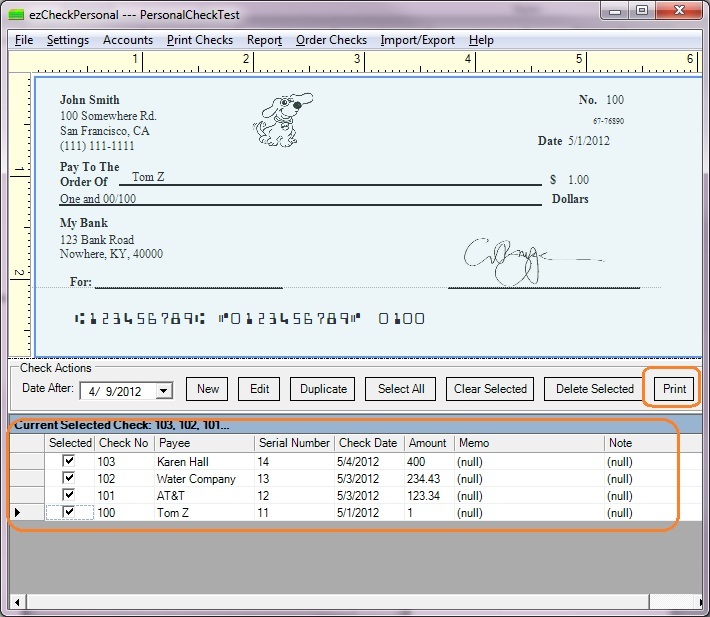 In 2008, the company produced a "Lite" version of its check writing software, with limited capabilities on some features, such as custom check designing. The company offered the new product for free on software download sites and supported it with an intense press release campaign. "Everyone likes free stuff," said Halfpricesoft.com founder Dr. Ge. "When we launched ezCheckPrinting Lite for free, we suddenly started getting hundreds of downloads each month." But while downloads of the free software were plentiful, conversions to the full-featured paid version were minimal. The search for an effective marketing solution continued. Seeing that free software was popular with small-business customers, Dr. Ge and his team looked for a way to utilize this powerful marketing tool that would result in sales for their premium products. The answer came in late 2008 when they discovered TrialPay. 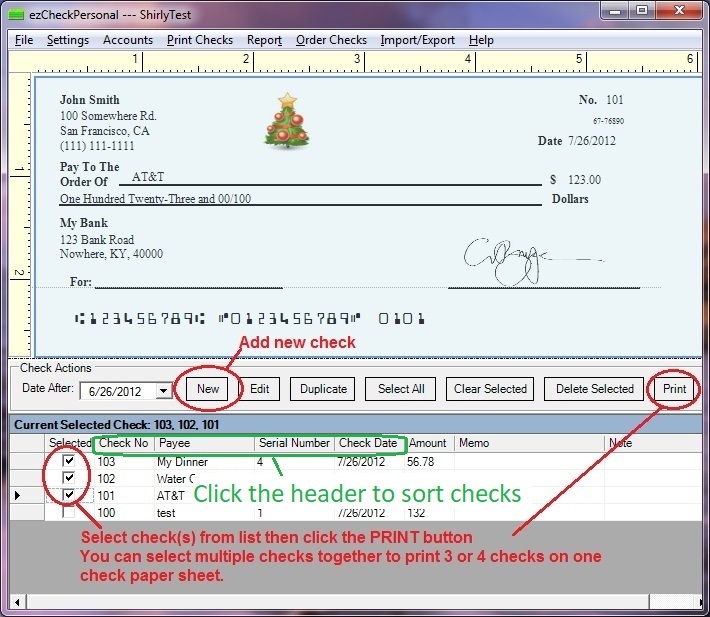 With TrialPay, Halfpricesoft.com is able to offer the full-featured single-user version of ezCheckPrinting, ezCheckPersonal and its other software titles for free when customers purchase a product from another company. In 2009, the company ceased to offer the "lite" version of ezCheckPrinting and used TrialPay to offer the product for free. TrialPay advertisers pay for the software when customers purchase their products or services. "We sell thousands of copies each year now," said Dr. Ge. "It's a win-win-win-win situation: the customer gets free product, we make sales, the TrialPay advertiser makes sales, and TrialPay gets commissions." Halfpricesoft.com took full advantage of its partnership with TrialPay by launching a public relations campaign featuring the TrialPay offer in press releases and newsletters. The company also highlights the TrialPay offer on its website, encouraging customers to get Halfpricesoft.com products for free. Why just half of check or image or form or report printed from my printer? Several users asked why just half of check or image or form was printed when they printed it from printer recently. So we decide to add the solutions to our blog. It can also be a display problem caused by the machine setting or the printer settings. User can change these settings to fix this printing problem. 2. 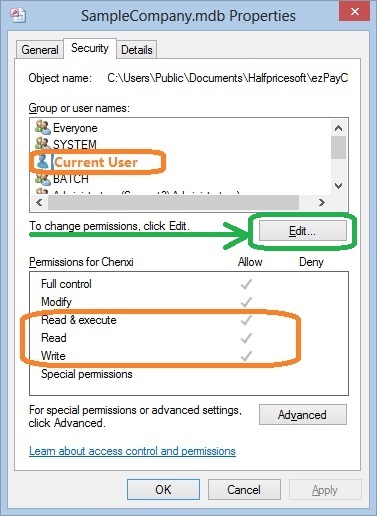 Double click the display to open display properties page. 3. Select Settings tab, then click the advanced button. 4. On Plug and Play Monitor form, there is DPI setting under General tab. Please make sure the DPI settings is Normal size (96 dpi). 5. Click the OK button to save your change. 6 Click the OK button on display properties form to save your change. - Then click the OK button to save your changes.